There is a quiet cultural revolution going on in one of the world’s biggest superpowers. 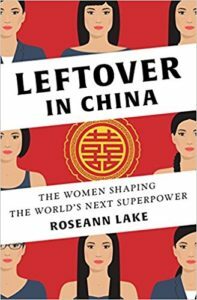 Chinese men traditionally do not want their women to be well-educated or high achieving, but the women of China are taking a stand. Leftover in China: The Women Shaping the World’s Next Superpower is a revealing look at some of the women who are changing the way China operates. Author Roseann Lake is The Economist’s Cuba correspondent. She was previously based in Beijing, where she spent time as a television reporter and journalist. Her China coverage has appeared in Foreign Policy, The Atlantic, Salon and Vice, among others. Our second guest today became frustrated a few years back as he realized his three children were idolizing princesses and reality stars; as a history buff, he knew that there were better heroes for his kids to look up to. Inspired, Brad Meltzer created his wildly successful Ordinary People Change the World series to educate kids on real heroes throughout the history of mankind. 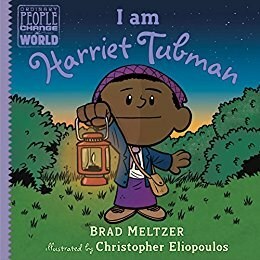 Brad Meltzer is a #1 New York Times bestselling Fiction author, and has the distinction of being the only author to also appear on the bestselling list in the Children’s Books, Non-Fiction, Advice, and Comics categories. He is also a noted History Channel host.